The black tile fireplace is the focal point here, but black accents around the rest of the room keep the eye moving. A gorgeous plant is the perfect way to add height! 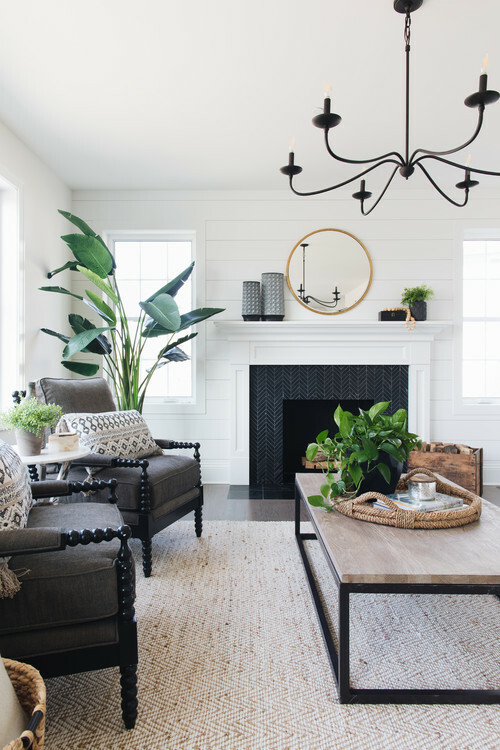 Thank you for joining me on this tour of modern farmhouse living room ideas!